Finish in Hampton Cherry on select hardwoods and veneers. 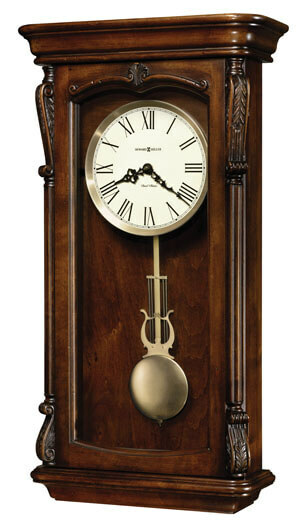 This handsome wall clock features elaborately carved column caps and a complementing carved accent on the door. You will save $177.90 (30 %) on this Howard Miller Henderson 625-378.